While we were not planning on having children this early in our marriage(we were married 6 months when we found out), we are thrilled to be so very blessed. 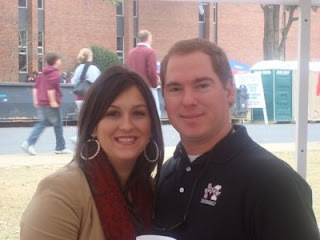 Will and I were getting ready to go to the Olemiss MSU egg bowl- football game. I just knew I was worried for no reason(other than missing a few pills here and there)....well, I knew until I saw the PINK line. We were ready and dressed for the game and decided to stop by Walgreens to make ourselves feel better. We grabbed the $4.99 test at the counter and ran back by the house. I thought you had to wait like 2 minutes for a result, but I was wrong- it was there as soon as I set it down. I yelled for Will and cried!!!! 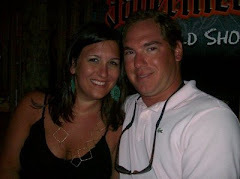 he was so very sweet and assured me everything would be ok. What a strange feeling that day and the weeks to come where we hid this from everyone...as close as I am with my family and as hard as it for me to keep a secret, we did. We waited until Christmas to announce the BIG surprise!!! !